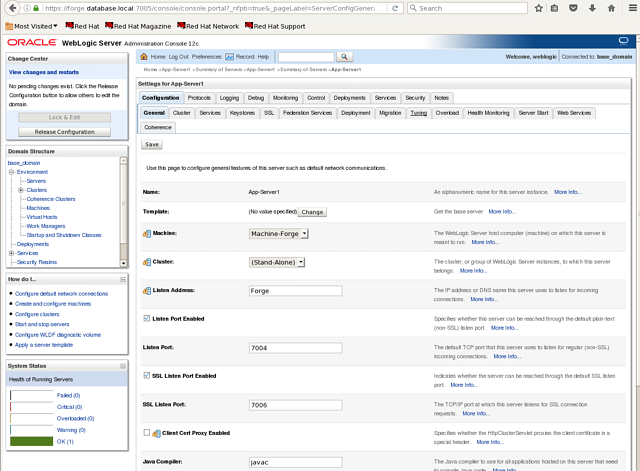 This article is the third in a three-part series that details how to secure a WebLogic server. 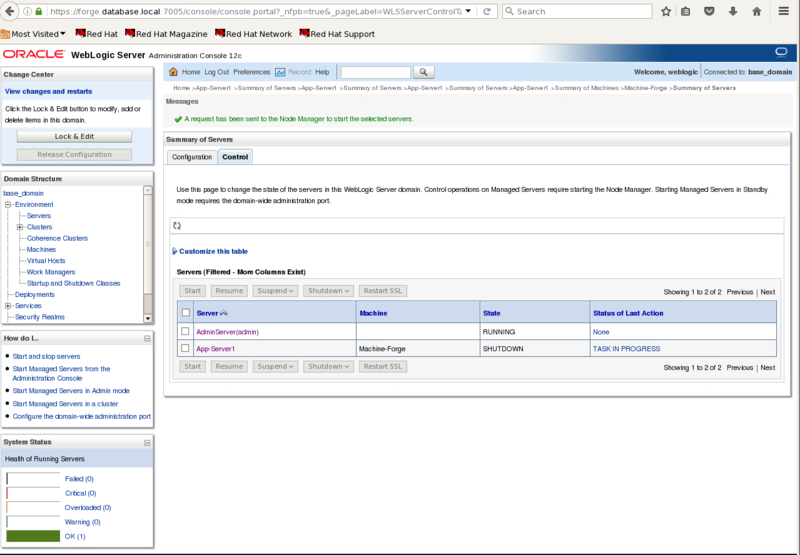 In general, the WebLogic Admin Server is used for administrative duties and the managed servers are used to deploy applications on WebLogic. Managed servers can be configured to use keystores and run on a secure port in a manner similar to that used to secure Admin Servers. 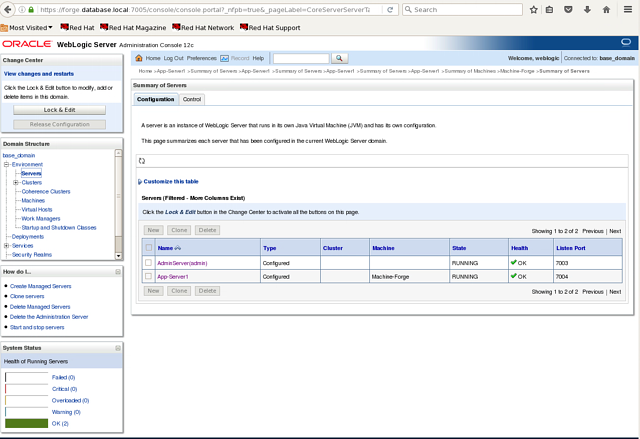 The WebLogic Node Manager can be used to start and stop WebLogic managed servers. 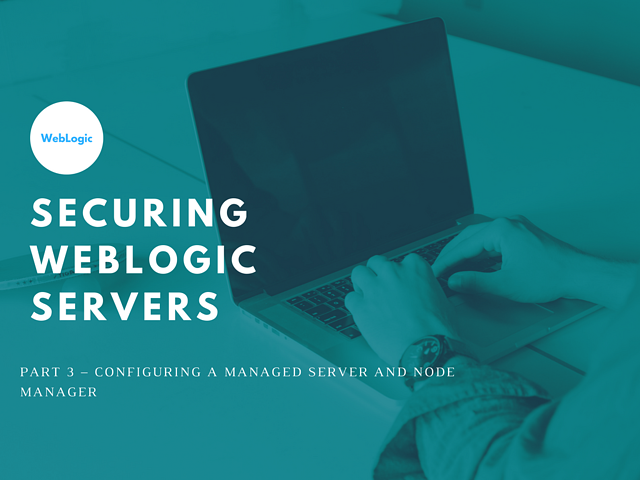 This article details how to configure a WebLogic managed server to run on a secure port and allow WebLogic Node Manager to start and stop the managed server. Following are variables used in the article. MW_HOME: This variable refers to the location where Oracle Fusion Middleware resides. The previous post detailed the steps involved in securing an Admin Server. Securing a WebLogic Managed Server is similar. The Managed Server should be shut down. From the WebLogic home page, click on Servers. Click on the Managed Server. 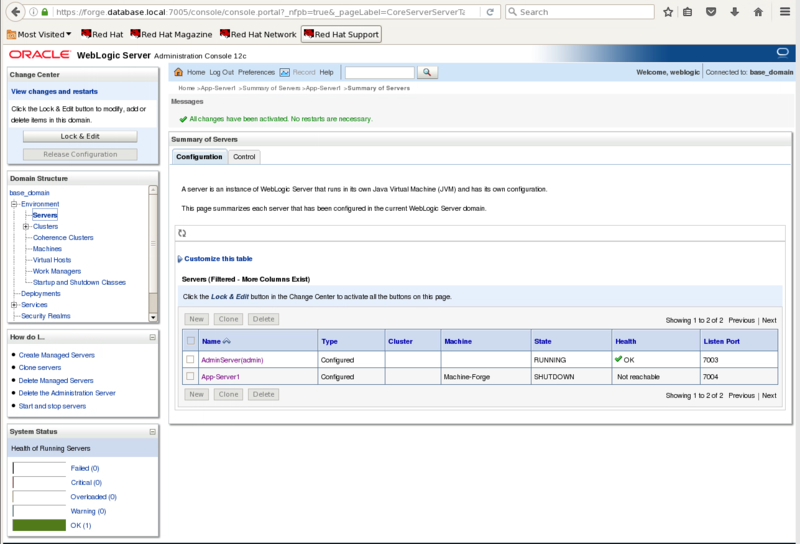 The Managed Server settings screen displays. Select the Configuration --> Keystores tab. 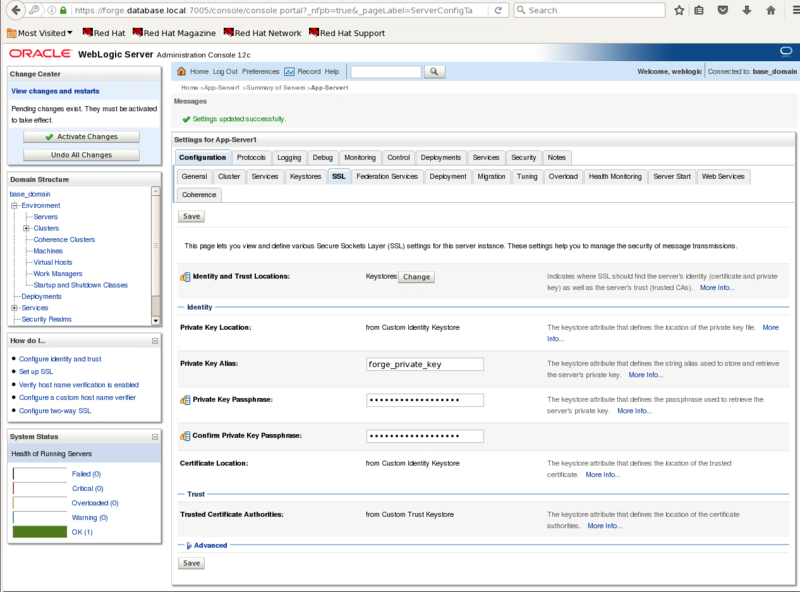 The Managed Server Settings, Configuration --> Keystores screen displays. Click on the Keystores Change button. Choose Custom Identity and Custom Trust. 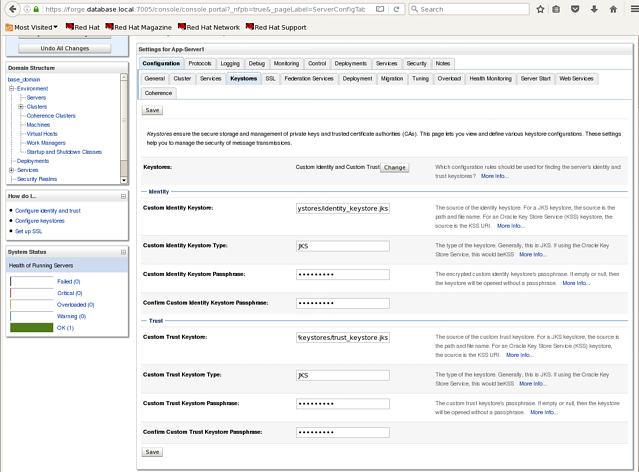 See our previous post on configuring keystores. 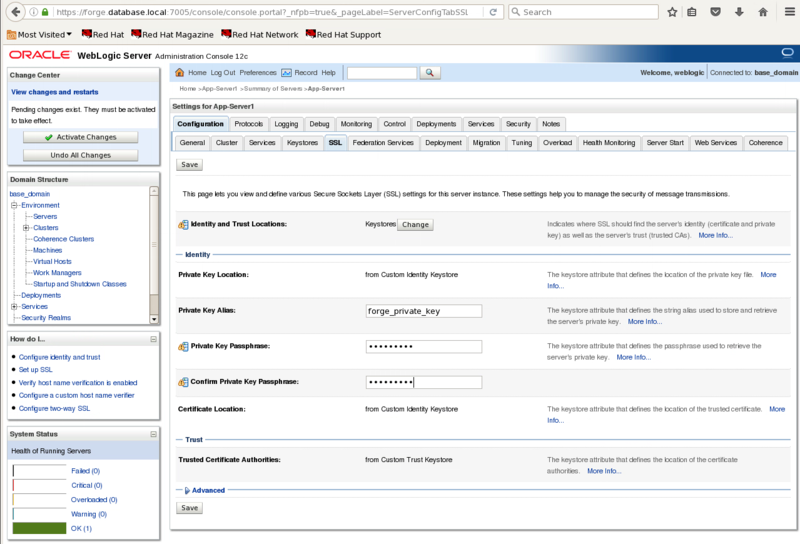 The Managed Server Settings General --> SSL screen displays. The screen displays indicating that the changes have been made. Click Servers. Click Activate Changes. The changes have been activated. Note that the passwords in the nodemanager.properties file will be encrypted when Node Manager is restarted. 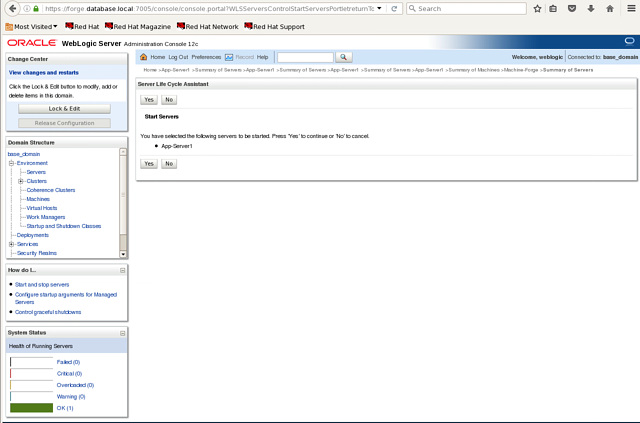 In the Admin Console Summary of Servers screen, Click Servers. Click the Control tab. Select the box next to the Managed Server and click Start. 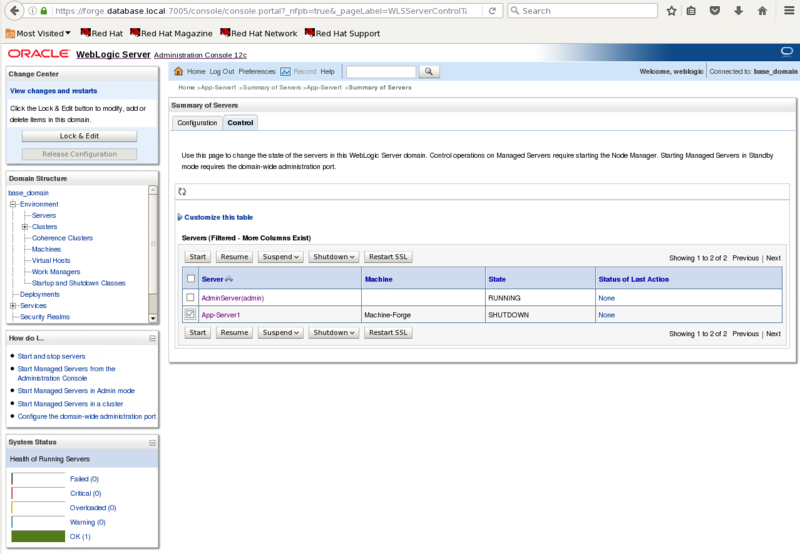 A screen displays showing that the request to start the managed server has been sent to the Node Manager and is in progress. After a minute or so, the managed server is started. At this point the managed server is ready to use securely. It can be accessed through the SSL Listen port entered earlier. For security, for example to satisfy NIST SP 800-53 security controls, the non-secure Listen Port for the managed server can be disabled.